Fern was born in November 2005 and found wrapped in a blanket by the gate of her orphanage shortly thereafter. Upon admission to the institute medical staff examined her and she was diagnosed with Arthrogryposis affecting her knees, ankles and elbows, however, she is a very capable and independent girl. She just received surgery to improve mobility in November 2015 and is currently going through rehabilitation for walking. Fern participates in the big sister program in her institute. Her teachers say she is polite, gets along well with other children and loves studying. Although she was able to walk (with support) a little bit prior to her recent surgery, she had mostly been using a wheelchair to get around. Initially her teachers worried about her keeping up, however, they report that she is very smart, independent and capable. Fern learned to write her name after being shown only once and seldom asks for help. She is strong and very self-reliant both inside and outside of class and laughs happily when she is praised by her teachers. It sounds like she is well liked and supported by her friends and classmates. Although the orphanage staff say her fingers aren’t affected by Arthrogryposis they do report some weakness in them. She is able to hold a pencil to write many words, do addition and subtraction and feed herself. Her report states that she is happy in the institute but also has a good attitude about adoption. She is willing to be adopted by foreigners so she’ll have more friends and people to love her. Fern recently had some agency representatives in her orphanage told them that she would like to have siblings. She also shared that her favorite toys are Barbie dolls and she likes the color blue. She said she hopes to go to college to become a teacher. What an inspiration this girl will be to the family who says “YES” to her!!! PLEASE MAKE SURE YOUR EMAIL ADDRESS IS ENTERED CORRECTLY BEFORE SUBMITTING. If you don’t have a reply from this web site within 24 hours you may have provided an incorrect email address. 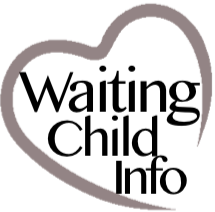 This child’s file is newly designated and not available for release to other agencies.